Many children and adults suffer from allergies and asthma. Beyond the sniffling and sneezing and coughing and wheezing, these health conditions can present complications that significantly impact quality of life and even lead to hospitalization. 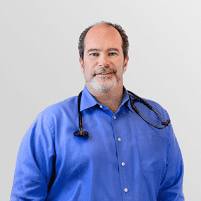 As a Doctor of Osteopathic Medicine (DO), Michael Temkin has a unique perspective on conditions such as allergies and asthma and can offer effective treatment to alleviate symptoms and prevent them in the future. Call or book online to schedule an appointment at his office in San Ramon, California. Why do allergies and asthma often occur together? An allergic reaction occurs when your immune system mistakenly identifies a harmless substance like pollen or cat dander as an invader. In an attempt to protect your body from the substance, your immune system releases chemicals that lead to allergic reactions, which can range from mild to severe. For some patients, an allergic reaction affects their lungs and airways, leading to asthma symptoms. But allergic reactions aren’t limited to food. Dust mites, pollen, mold, insects, and pet dander are common environmental and airborne allergens. Asthma is a condition where your airways narrow, swell, and produce extra mucus, which can make it difficult to breathe. Common symptoms include coughing, wheezing, and shortness of breath. The severity of a person’s asthma can range from a nuisance that gets in the way of normal life to a life-threatening asthma attack. Dr. Temkin can help you control your asthma symptoms, track your triggers, and adjust treatment as needed over time. How does Dr. Temkin treat allergies and asthma? To properly diagnose your allergies and asthma, Dr. Temkin evaluates your health history, examines you, and takes note of your current symptoms. Then he offers a treatment plan to provide relief from your allergies or asthma. This may include medications, inhalers, or lifestyle modifications, such as avoiding the substances or activities that bring on your symptoms.